The Aussie Traveller caravan doors are a triple lock caravan door available in both white and black powder coat. 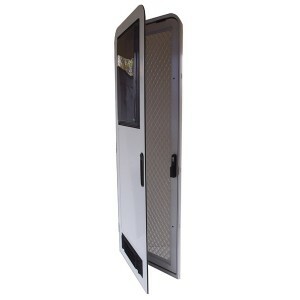 Manufactured to exacting standard, these affordable caravan doors come complete with an inner lockable security door and flyscreen and an outer door with a white infill panel, door catch and curved acrylic tinted window. Both the inner and outer doors are hinged off a door frame which is easily fixed into the existing opening in your caravan. The door assembly also comes supplied with an internal door trim and an additional key which when inserted in the inside lock cannot be removed. The ATRV two radius corner entry doors are manufactured to withstand our harsh conditions. 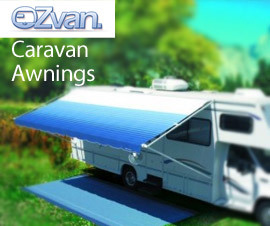 Easy to install and come supplied with all the features you’d expect in a quality caravan door. Please select the door size colour and hinge location form the drop down box.